Time for another quick video game review! Curses ‘N Chaos released in 2015 by Tribute Games and is currently a free PlayStation Plus game until May 3rd, 2017 (So grab it if you can!). The game starts out with our two bounty hunters, Lea and Leo as they set out to defeat the evil Wizard King until they are cursed and every monster is set out to defeat them, even the Grim Reaper himself. In order for Lea and Leo to remove the curse, their alchemist friend, Allison, tells them that they need to find ingredients to make the Elixir of Life. With the 8-bit soundtrack and pixelated graphics, this 2D wave-based arena-brawler definitely attracted me. I love the pixelated games. 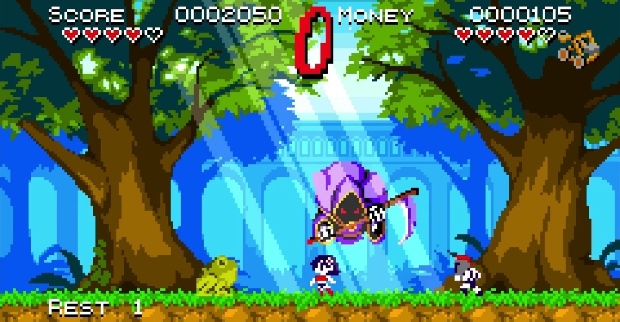 As for gameplay, this game is set in waves full of enemies with orcs, frogs, crows, skeletons, etc and you get about 50-100 coins for each enemy defeated. You can jump, jump kick, sprint, punch, and throw items. There are 5 hearts and each hit you take loses a heart. There is also a time limit of about 60 seconds for each wave and when the time runs out, the Grim Reaper will come out and try to kill you so he’s basically a boss in a way. You can get items in this game such as a shuriken, a beartrap, and other dangerous goodies to throw at your enemies. You only have one item slot so If you want to save an item for later, Allison’s owl, Owly will come down and hold the item for you. 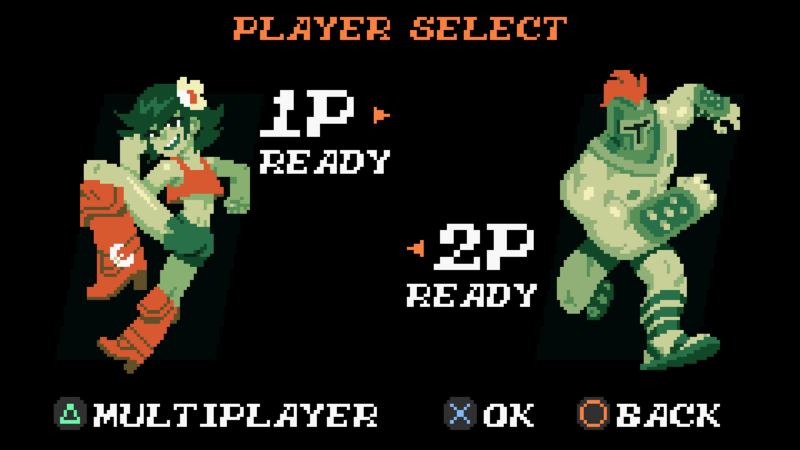 There is multiplayer mode as well, which is really helpful because this game is basically a pixelated Dark Souls. This game is also incredibly short, after each stage, you get the items needed for the Elixir of Life and in the end, defeat the Wizard King. Overall, this game is really fun, I love the 8-bit soundtrack it has and this is definitely one of those games that will make me “Git Gud” (I died a lot). A really good game if you want to use up your past time and just go through waves of enemies all day. Have you guys played Curses ‘N Chaos? ← Ask Gabby! : Basic Info, Questions, and Random Facts About Me!